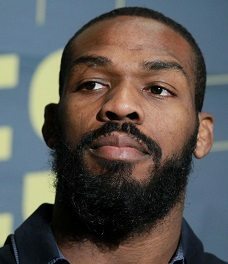 Jonathan Dwight ”Jon” Jones, was born on the 19th of July 1987 in New York, USA. H He has the record for longest unbeaten streak in his division (17) and most defenses (8). Jon Jones was an outsanding wrestler in High School in New York but he also played American Football where his coach gave him the nickname “Bones”. In 2008 he opted out of college to pursue an MMA career full time. He has four daughters with his fiancé Jessie. His brother Arthur Jones plays for the Indianapolis Colts. Jon Jones made his pro debut in April of 2008 against Brad Bernard. Jones won by TKO after 1:32 of round one. He fought six times in three monst and amassed a pro record of 6-0. He defeated Moyses Gabin at BCX 5 to win the USKBA Light Heavyweight belt by TKO in the second round. He then signed with the UFC. Jon Jones made his UFC debut against highly touted Brazilian Andre Gusmao on two weeks notic. Jones dominated Gusmao and showed his unorthodox striking techniques. He won the fight by unanimous decision. He fought six more times in the UFC, winning all of his fights. With such a winning streak he got the chance to fight for the Light Heavyweight champion Mauricio “Shogun” Rua. Jon Jones fought “Shogun” for the belt at UFC 128: Shogun vs. Jones. In the opening moments of the fight Jones landed a flying knee that stunned the champion. 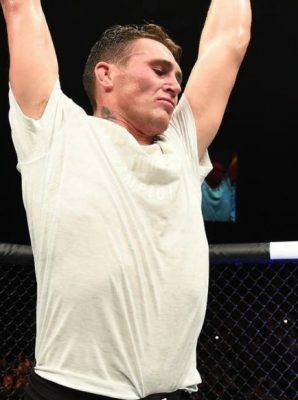 In the third round Jones connected with knees and punches that sent Rua crashing to the canvas. Jones now became the youngest champion in UFC history. He defended his belt five times againsta whos-who of Light Heavyweight contenders. He defended the belt against Quinton “Rampage” Jackson, Lyoto Machida, Rashad Evans, Vitor Belfort and Chael Sonnen, arguably the most difficult defense streak of a champion ever. Jon Jones fought the big Swede Alexander “The Mauler” Gustafsson to defend his title at UFC 165. Gustafsson shocked the world when he not only took down Jones, he also beat him up and in a razor close decision Jones defeated the Gustafsson. The fight was awarded Fight of the Night awards and was later honored as the best fight of 2013. After some time off Jones came back and defended his title against hard hitting Brazilian Glover Teixeira at UFC 172. He injured Teixeiras shoulder in the first round en route to a unanimous decision victory. Jon Jones was supposed to fight Daniel “DC” Cormier on UFC 178. But after a press conference, the two faced off and Jones went forhead-to-forhead with Cormier. Cormier didn’t appreciate that and shoved Jones in the throat. A brawl erupted and the two had to be separated by hotel security. Both fighter were fined for the incident. The fight got postponed until UFC 182 where Jones and Cormier fought to a decision. Jones became the first man ever to take down Cormier, a feat he accomplished three times. Controversies outside the cage kept Jones out of action for a year. When he came back against Ovince St. Preux in April of 2016, he had been power lifting heavily. He looked sluggish and not himself in the fight with “OSP”, but still managed to get the win. He was supposed to rematch his nemesis Cormier at UFC 200, but a positive drug test stemming from gas station erection pills, made him pop for estrogen blockers and yanked from the card. In his most recent fight, Jones again faced off with Cormier. Cormier found alot of success in the early stages of the fight, arguably winning the first two rounds. Jones started finding his rhythm in the third and hit Cormier with a head kick and followed up with punches. 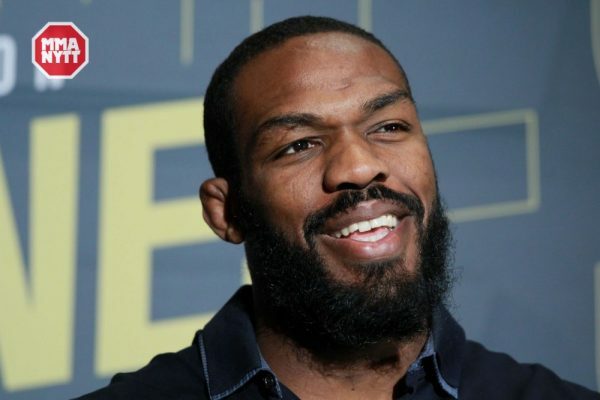 Jones was once again the UFC Light Heavyweight Champion of the World. After the fight Jones tested positive for Turinabol. He was once against stripped of his title.